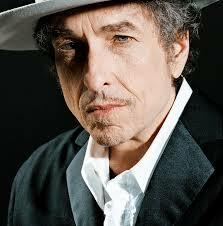 Bob Dylan is everything and more. He is the ground we stand on and the air we breathe. Without him, nothing. Every now and then Dylan release bootlegs filled with alternative takes, unreleased stuff, live recordings – a gift that keeps on giving. A humble thanks to our hero and check out Most Of The Time below. This is very far from the take that landed on the Daniel Lanois-produced album Oh Mercy back in 89. It’s from Tell Tale Signs (2008, bootleg 8) – stripped down and amazing. Breaks us down every single time. This entry was posted on onsdag, september 9th, 2015 at 15:04and is filed under . You can follow any responses to this entry through the RSS 2.0 feed. You can leave a response, or trackback from your own site.